There are three things I remember most about our trip to Siem Reap. Siem Reap is full of surprises. Everyone knows about the Angkor temples but this place has more to offer than that. I was expecting a quiet small town with little to do at night and few dining options but that wasn’t the case at all. Pub Street is a boombox at night and there are plenty of interesting restaurants in town, most of which won’t break the bank. 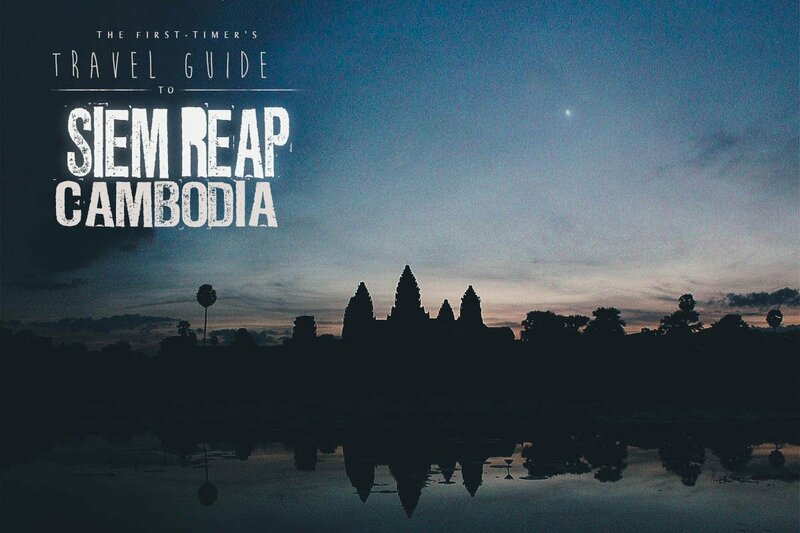 If you’re planning that first trip to Siem Reap, then I hope this guide can help you do just that. Cambodia has two seasons — wet and dry. The wet season is from May to October while the dry season is from November to April. March-May are the hottest months with an average temperature of around 84°F (29°C). Avoid these months because the heat and dust can be oppressive. September or October aren’t ideal either because those are the wettest months. Flash flooding is a frequent occurence, making travel difficult. November to February is the most popular time to go because it’s the coolest and driest time of the year. However, it’s also the most crowded. We went in December and the crowds at times were unbearable. Prices tend to spike at this time as well. For a good balance of weather and number of tourists, June-August is said to be the most ideal. The rain keeps things cooler and less dusty, the landscape is more green, the temple moats are filled, and there are fewer tourists. Rainy season isn’t in full swing yet, with the rain coming in it seems at a scheduled time daily — early in the afternoon and again at night. If you’re flying, then you’ll be arriving at Siem Reap International Airport (REP). From there, you can take a tuk tuk or taxi to your hotel. A tuk tuk costs USD 6 to get you to Siem Reap’s city center while a taxi will charge about USD 7 for a sedan and USD 10 for a van. We flew to Siem Reap but there are other ways to get there depending on where you are. I suggest checking 12Go Asia to find route options available to you. You can click on the link or use the widget below. Siem Reap is all about the Angkor temples. If you’re not out to see every single temple, then the 3-day Angkor pass should be enough. Unlike beach towns, Siem Reap isn’t really conducive to R&R so I’d say 3-4 nights is ideal. Cambodia is inexpensive, even by Southeast Asian standards. It’s one of the cheapest countries we’ve visited. You can enjoy a meal at a fancy restaurant for USD 10. Ice cold draft beer can be had for just 50 cents a mug. You can live like royalty there with a budget of USD 100 per day. This includes accommodations, food and drinks, shopping, transportation, and your Angkor pass. It’s so economical that couples can do well with as little as USD 50 each per day. If you’re a solo budget traveler staying in a hostel, then you can probably get by with around USD 30 a day. Conveniently, USD is the de facto currency in Cambodia. It’s accepted everywhere. The only time you’ll ever see Cambodian Riel is when it’s given to you as small change from USD transactions. As mentioned above, USD is the de facto currency in Cambodia so if you’re flying in with USD in hand, then you’re all set. If you’re coming in with a different currency, then be sure to exchange it only to USD and not KHR. There’s no point in changing it to KHR since all transactions will be in USD. As odd as it sounds, but you can also withdraw USD from an ATM. In fact, I read it’s harder to find ATMs that dispense KHR (Cambodian Riels) than USD. So weird! In any case, just be sure to inform your bank of your travel plans. That way they don’t block your ATM card or anything. In my experience, my card works in some machines but not in others, even after I advise my bank that I’ll be using it abroad. 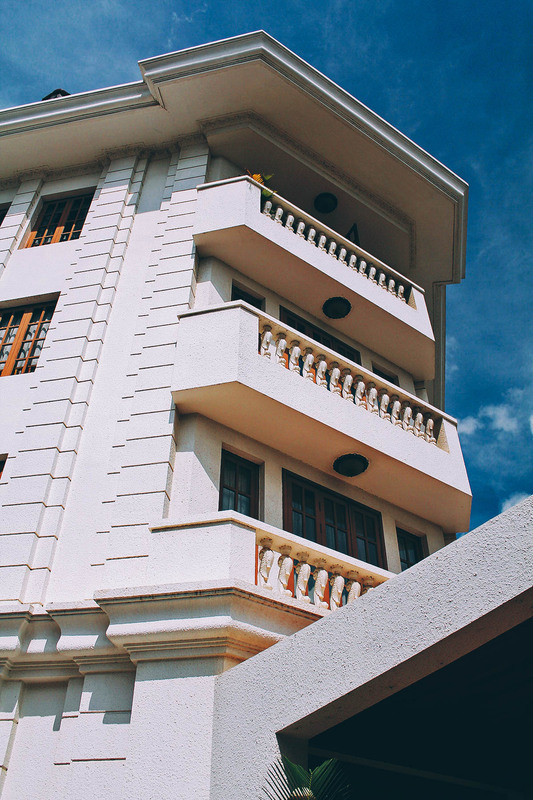 Soria Moria is a Norwegian-owned boutique hotel that’s conveniently located along Wat Bo Road, just a few minutes walk from chaotic Pub Street. Pub Street gets pretty loud and rowdy at night so if you prefer a quieter, more relaxed atmosphere, then Soria Moria is perfect. It’s also close to many delicious, un-touristy restaurants. Our air-conditioned room was an oasis in the sweltering heat of Siem Reap. For about USD 40 a night through Booking.com, you can get this big standard twin room with cable TV, wi-fi, breakfast, and free airport pickup. 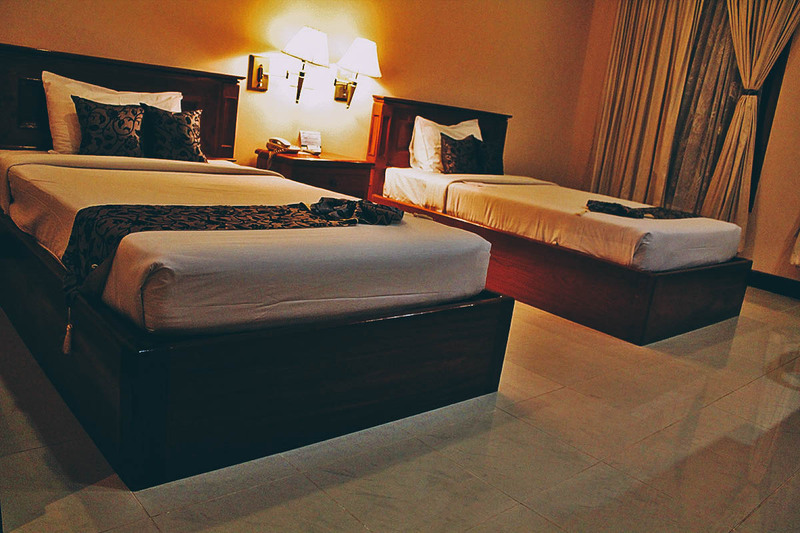 Standard single rooms are available for less than USD 30 a night. You can make a reservation through Booking.com or Agoda so be sure to check both sites to find the best deal. 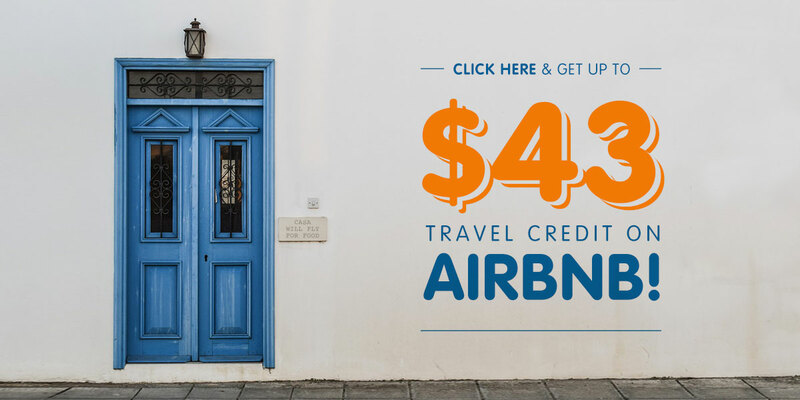 Alternatively, you can look for accommodations on AirBnB as well. 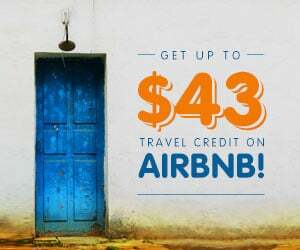 If you’re new to the site, then you can get up to USD 43 free travel credit via THIS LINK. If you want to see all the temples, then I suggest getting the 7-day pass. But if you want to visit just the major temples, then the 3-day pass will suffice. I’ve listed the four most notable temples below. Visiting just those four will still leave you with a fulfilling Angkor experience. It used to be that the 3- and 7-day passes had to be used on consecutive days — ie the week-long pass will be valid for one week from the date of purchase – but now it looks like the 3-day pass is good for any 3 days within one week, while the 7-day pass is valid for any 7 days within one month. This makes it a lot more attractive to get a multiple day pass as I’m sure not everyone wants to visit the temples on consecutive days. TIP: You may want to buy your pass at 5 PM the day before you intend to use it. You’ll be allowed free entry into the park to watch the sunset from Phnom Bakheng Temple. Check out my post on the Angkor Archaeological Park in Siem Reap for more pictures and information. 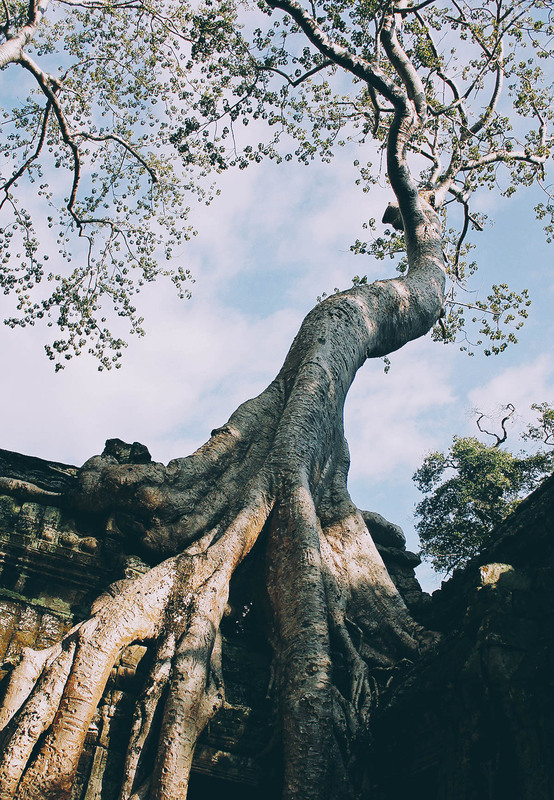 Home to giant roots reclaiming the ruins, Ta Phrom is where Tomb Raider was actually filmed. These massive roots enveloping the temples was a spectacular sight. Definitely a must-see. The largest temple in the complex, Angkor Thom is the second most visited temple after Angkor Wat. 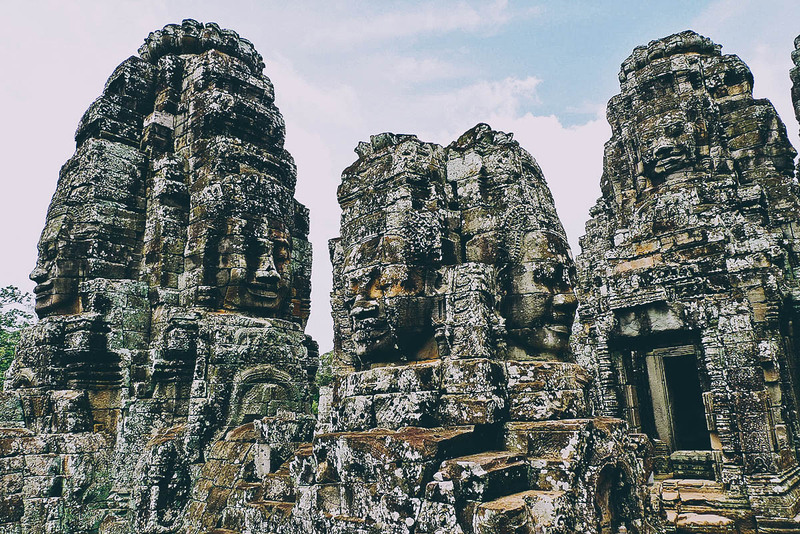 Covering an area of 9 sq km, at the center of Angkor Thom is Bayon Temple, which is home to these massive, carved stone heads. The jewel of the Angkor complex. The largest Hindu temple complex in the world, Angkor Wat is a massive structure surrounded on all sides by a moat. How they managed to build this in the 12th century is mind-blowing. I visited Angkor Wat twice — once during the day and another early in the morning to get my sunrise shot. Around an hour away by tuk tuk from the main temple complex, Bantaey Srei is one of the smaller temples but also one of the most unique. The only temple made from pink sandstone, it boasts the best, most intricate temple carvings of all. I made arrangements with our hotel and paid USD 22 roundtrip. 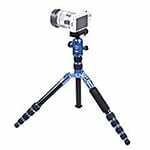 You may be able to get this for less if you negotiated outside of your hotel. It takes about an hour to get there so we left bright and early at 6:30 AM. It’s definitely worth a visit. The landmine museum is along the way to Bantaey Srei so it’s a frequent stop on the return trip back to town. 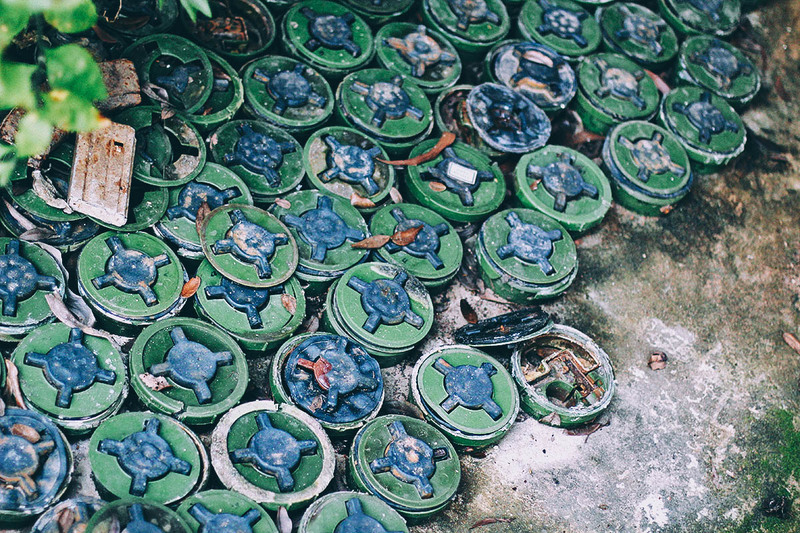 It tells the story of landmines in Cambodia and their sobering impact on the country’s past, present, and future. Entrance to the museum is USD 5. Check out my post on the Landmine Museum in Siem Reap for more pictures and information. Ren loves to cook so we try to take a cooking class wherever we go. We haven’t taken one in Siem Reap but we have taken classes in Phuket, Chiang Mai, Hoi An, and Ubud. Eating unfamiliar food is fun enough, but actually learning how to make it is even better. 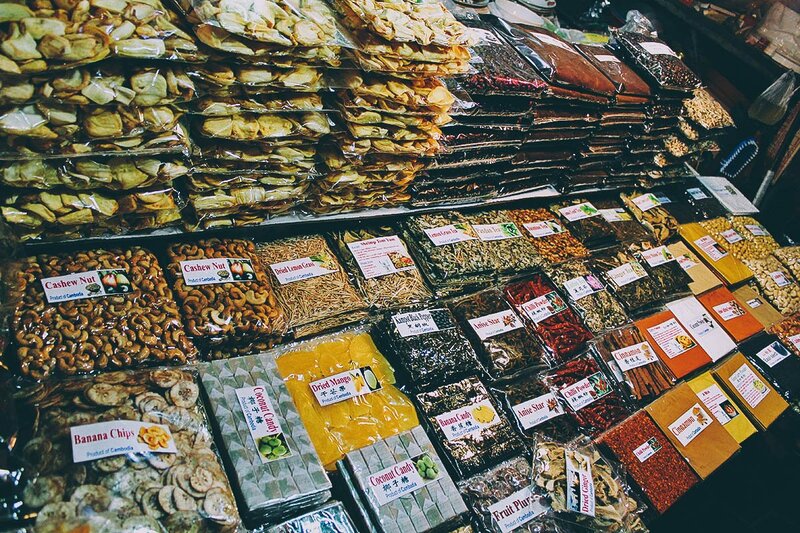 It gives you a deeper understanding of the local cuisine. Cookly is an online tour provider that focuses just on cooking classes. 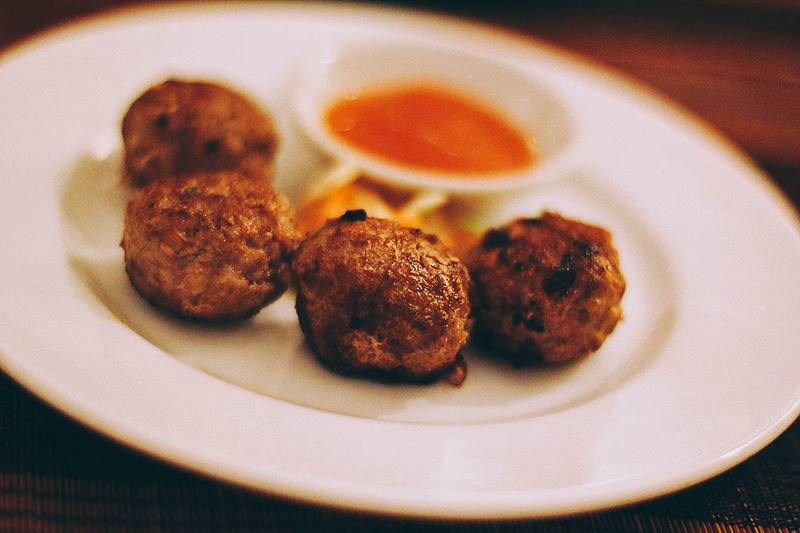 They offer one-day cooking classes in many cities around the world, including Siem Reap. For me, there’s no better place to book cooking classes while traveling than Cookly. 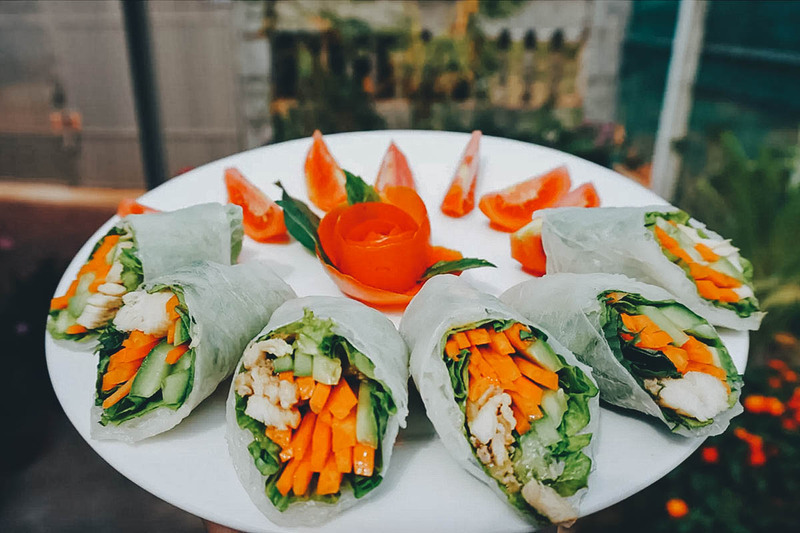 Follow the link to search through available cooking classes in Siem Reap. I became a fan of Backstreet Academy the moment I saw this video. Backstreet Academy provides tourists with authentic experiences that also benefit the local communities. 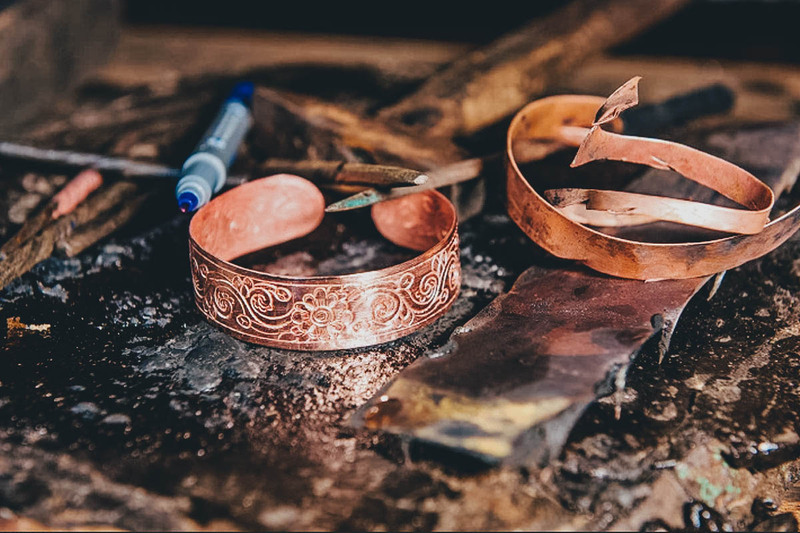 Through them, you can learn how to fish from an actual fisherman, create copper bracelets from a master craftsman, or learn cultural dances from real instructors, with up to 80% of the revenues going back to the communities. You can follow the link to go through Backstreet Academy’s list of activities in Siem Reap. The ones marked “Backstreet Originals” are their most unique activities. 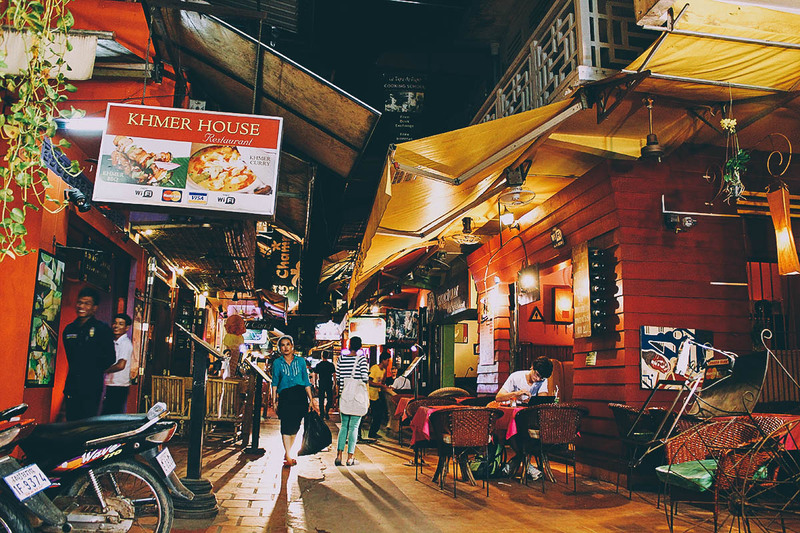 A neon-lit network of streets and alleys teeming with restaurants, bars, and clubs, Pub Street is the heart of Siem Reap. It’s where all the action is so it can get pretty loud and boisterous. Many of the restaurants here feel touristy and a little “same same”, but it’s a great place to hang out and enjoy a few beers. 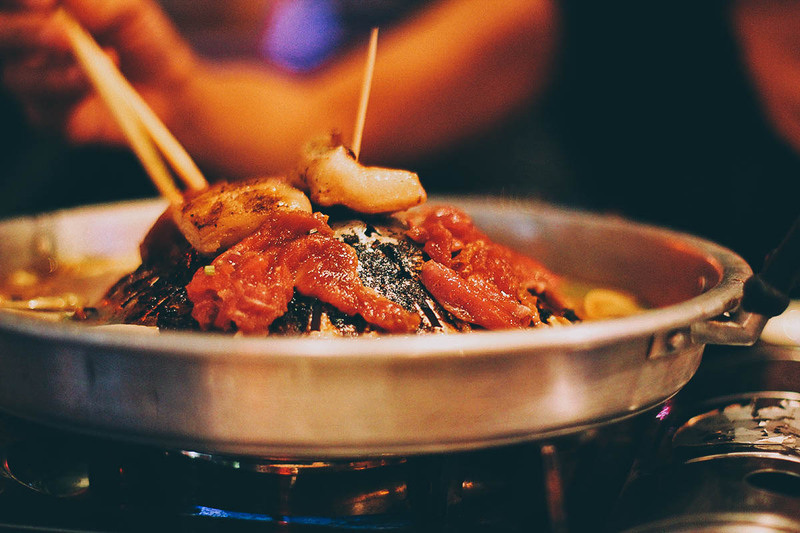 Many restaurants in and around Pub Street offer Phnom Pleung, or “Cambodian BBQ.” Similar to Korean BBQ, you have a small burner on your table where you cook the meat yourself. Ren and I are adventurous eaters so we opted for the most exotic set meal consisting of kangaroo, crocodile, snake, beef, and shrimp, all for just USD 13. Most of the proteins were pretty tough but we enjoyed the experience nonetheless. It was fun. Check out my post on Phnom Pleung or Cambodian BBQ for more pictures and information. Lucky for us, Soria Moria offers Dollar Wednesdays where every item on their tapas menu and bar list can be had for just one US dollar. I suggest going early for dinner because it’s very popular. 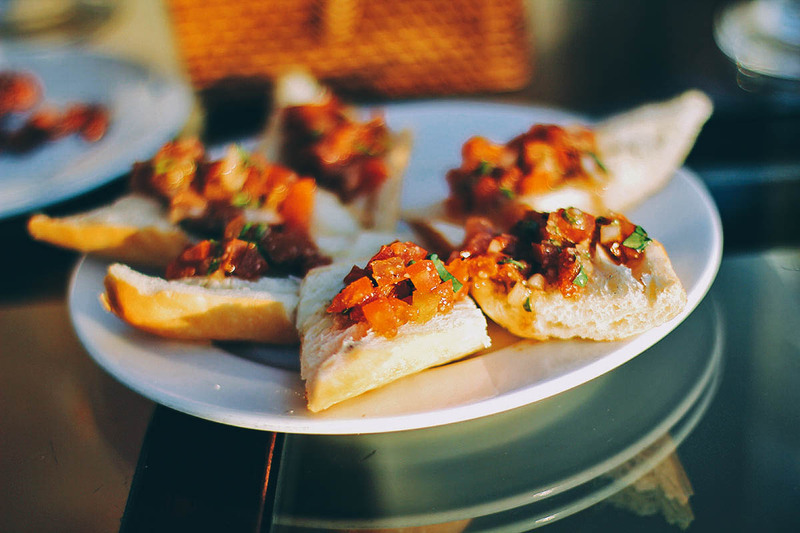 We had the bruschetta among a few other things. 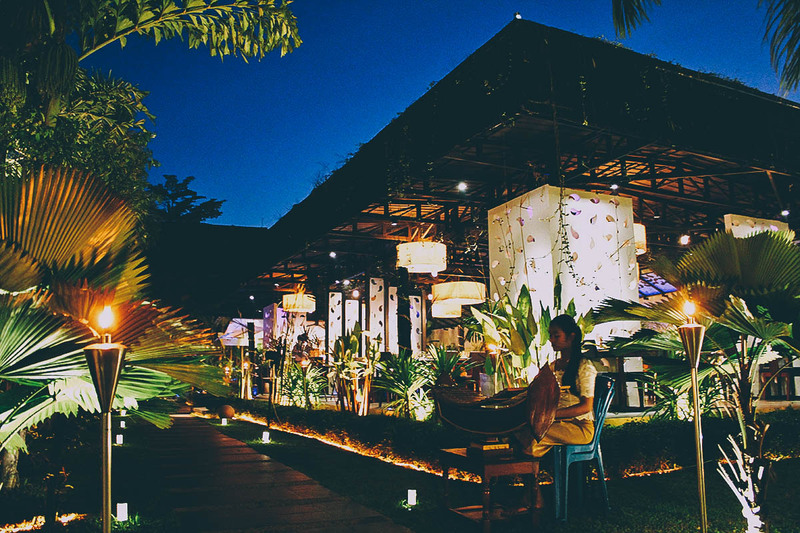 A TripAdvisor awardee, Viroth’s is a beautiful restaurant that’s perfect for quiet, candlelit dinners. It’s just a stone’s throw away from Soria Moria along Wat Bo Road. Despite its elegant ambiance and terrific Cambodian food, it’s still relatively inexpensive, with dinner for two amounting to just USD 20. If you prefer a quieter atmosphere away from the chaos that is Pub Street, then Viroth’s is for you. 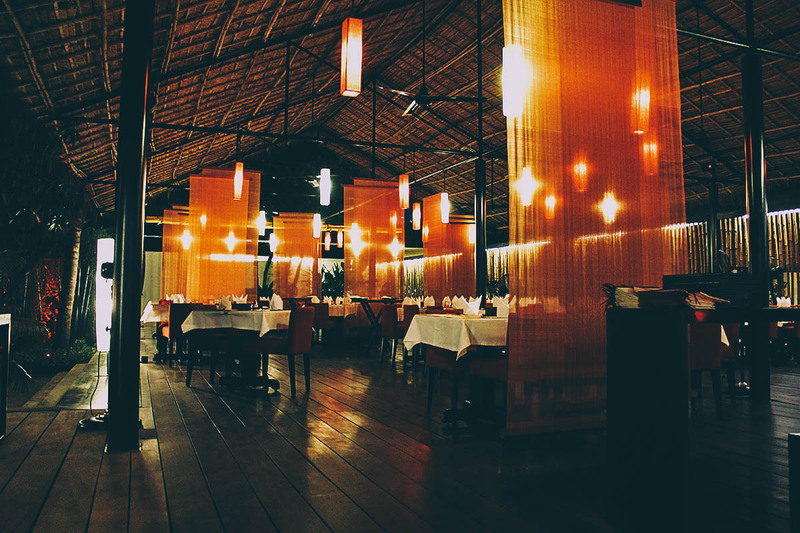 Check out my post on Viroth’s in Siem Reap for more pictures and information. 4. The Square 24 St.
Like Viroth’s, the Square 24 St. is another beautifully decorated restaurant just minutes from Soria Moria. We shared the “Passionately Khmer” set menu which is a five-course meal amounting to just USD 18. The Square 24 St. is also a TripAdvisor awardee and a local favorite. It’s a refreshing alternative to the loud, touristy atmosphere of Pub Street. Check out my post on The Square 24 St. in Siem Reap for more pictures and information. A word of caution. Though these are legal establishments, marijuana is technically illegal in Cambodia so it’s best to be discrete. In fact, I heard that they don’t lace every pizza with cannabis. You have to ask them to make yours “extra happy” to get the good stuff. You’re welcome. 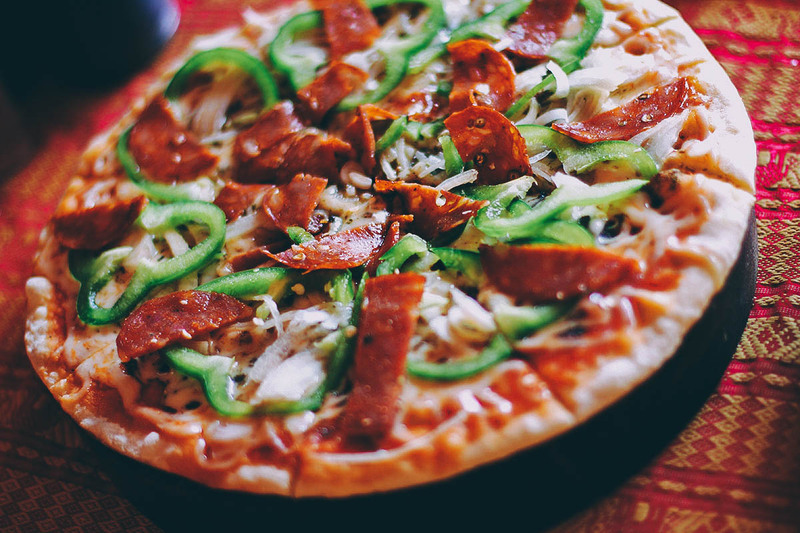 Check out my post on Cambodian Happy Pizza for more happy. 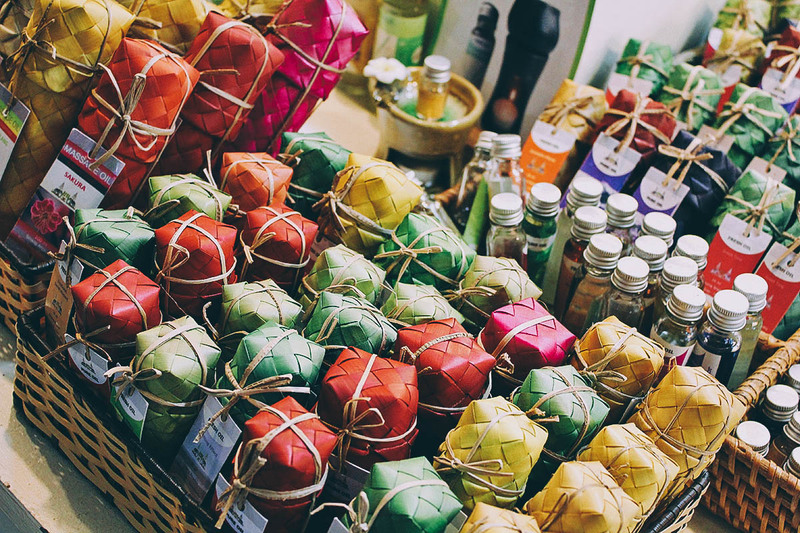 With various wares like dried packaged fruit, spices, shirts, silver, scarves, and so on, the Old Market is undoubtedly the best place to buy souvenirs in Siem Reap. 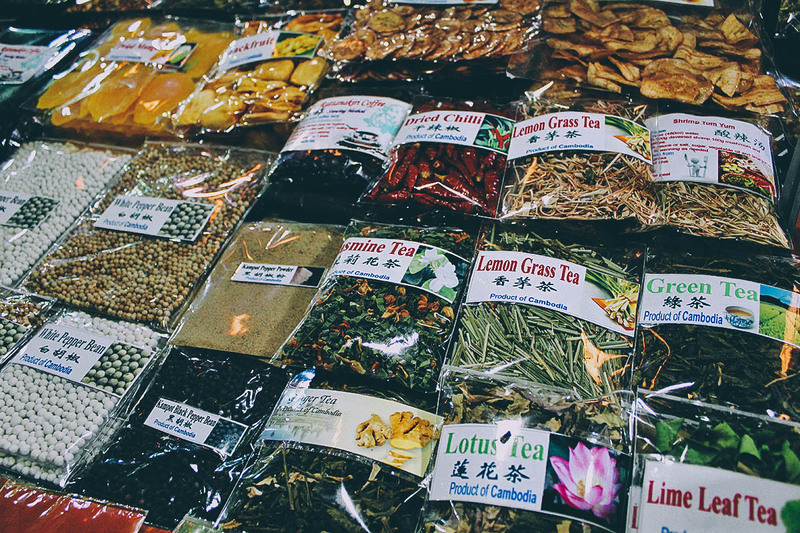 Check out all these awesome spices! 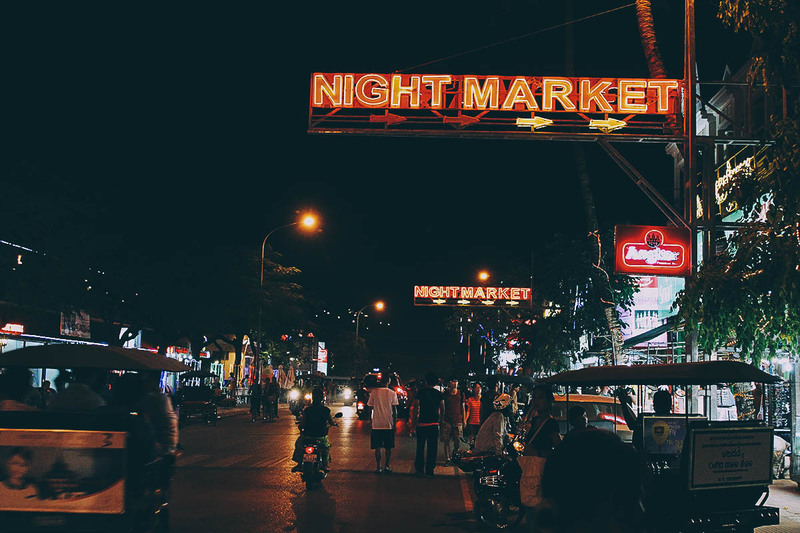 Located a few short blocks from the Old Market, the Night Market is similar though slightly more upscale and without any food items. Here you’ll find more modern nicknacks, Cambodian folk art, jewelry, even fake Beats by Dr. Dre stuff that may have fallen off the back of a tuk tuk. Remember to dress appropriately when visiting the Angkor temples. Wear pants or skirts that go below the knees and shirts that cover the shoulders. 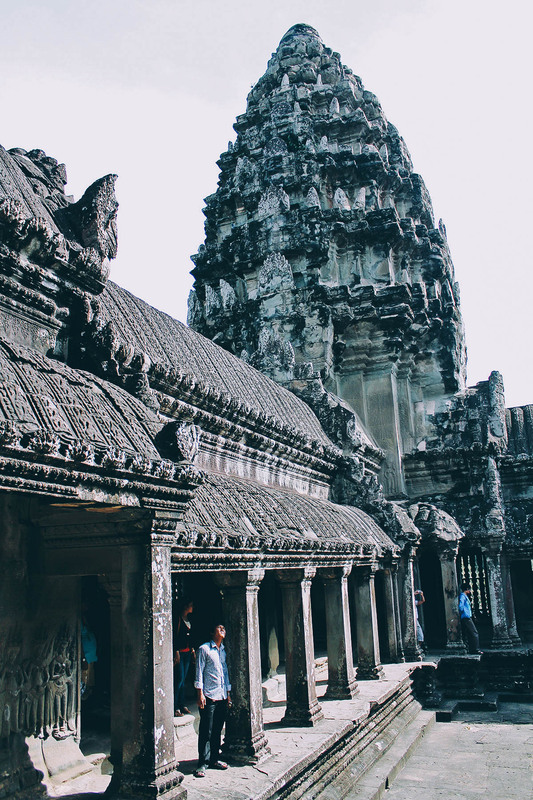 These temples are sacred to Cambodians so skirts, small shorts, tank tops, and other items of revealing clothing are not allowed within the temple grounds. If you’re into photography and want to get that iconic Angkor Wat sunrise shot, then be sure to get there as early as possible. I was one of the first people there at 4:30AM and I thought I’d have the place all to myself. WRONG. By the time the sun was rising from behind those temple spires, there must have been several hundred of us lined up in 4-5 rows in front of the temple moat. There’s only so much real estate to get a clear shot of the temple so I suggest getting there before 5AM. Any later and you’ll probably need to take your shot over some other tourist’s big head. I get travel deals from several different websites. But for Asia, I usually get them from Klook or KKDay because they offer the best prices. You can search through this list of Siem Reap attractions on Klook or KKday. Even if I don’t wind up buying anything, I often learn about interesting activities that I wouldn’t normally think of myself so it’s definitely worth a look. Whether or not to get travel insurance is something Ren and I weigh before every trip. If we’re just going on a quick traveleating trip and not doing anything physical, then we probably won’t get it. But for a place like Siem Reap where you could fall off the side of a temple, then I think it’s a good idea. We buy travel insurance from World Nomads because many long-term travelers I know swear by them. Follow the link or use the widget below to learn more and get a free travel insurance quote from World Nomads. Cambodia has Type A, Type C, or Type G electrical outlets so be sure to bring the right power adapters for your devices. Electrical voltage is 230V and the standard frequency is 50Hz. I’m not a Siem Reap expert but I do hope that you find this post useful. I’m only sharing some of the things that I learned from our trip. If you have any questions or suggestions, then please feel free to leave them in the comment section below. You’re welcome to join our Facebook Travel Group as well. Thanks for stopping by and enjoy your time playing tomb raider at Angkor Archaeological Park! Some of the links in this guide are affiliate links, meaning we’ll get a small commission if we make a sale at no added expense to you. We only recommend products and services that we use ourselves and firmly believe in. We really appreciate your support as this helps us make more of these free travel guides. Thank you! Hi, I would like to ask if the price that you posted for the tuktuk is a per person price? Or is it for the whole trip regardless of the number of persons? We are planning to visit Siem Reap on the first week of November. Will the weather condition be ideal by then? Anyway, your post is really helpful and I appreciate it a lot. Thank you. Great overview of Siem Reap and travel tips. I would also recommend dinner at Le Meridien, they do a buffet dinner with a great choice of international and Kmer foods, its good value too for a 5 star hotel and right in the heart of Siem Reap. I also loved pub street and the mexican food was great!! 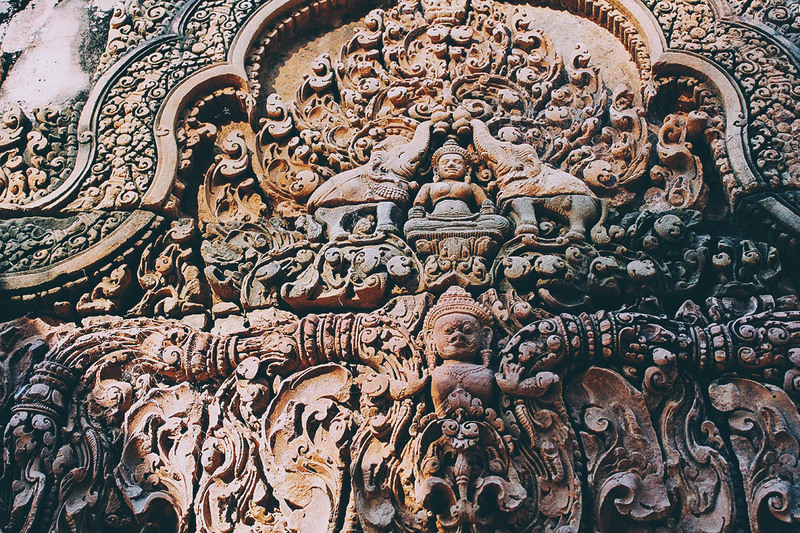 This is my fave blog abt Cambodia. Just wanted to correct you about the Angkor Temple pass info. I lived in Siem Reap for two years and for some reason there is often confusion about this. Something must be lost in translation, but with the 3 or 7 day pass, the days do not need to be consecutive though their sight uses this phrase. The 3 day pass is valid for a week and the 7 day pass is valid for one calendar month. I don’t know why it says that on their tourist site, but I assure you that this is incorrect. Hands down if you live there or are staying in the Siem Reap area for a long period the 7 day pass is the best option as you have a month and the cost is just twice the day price. Though the price hike at the beginning of February was a shock, the complex is one of the most mind blowing examples of human creation on the planet. Hey Tim, thanks a lot for sharing that information. That makes a big difference. Many travelers would be put off I think from buying the 7-day pass if they have to use it on consecutive days. I’ll be sure to update this post. I’ve recently started publishing short creative videos based in Cambodia that explore the complexity and diversity of the country. The first is based in Phnom Penh. Take a look and feel free to use on your site! Wonderful overview! I loved my time in Siem Reap, mostly for the abandoned temples. I think getting out and exploring some of the lesser-known ones is totally worthwhile. Hope you don’t mind but I linked this blog on my own about abandoned places and traveling. Thanks again! Thanks for sharing Tam! That’s an interesting article. I visited Gunkanjima (Hashima Island) earlier this year. Abandoned places can be very fascinating indeed. Thanks for the Super good write up, helped me plan my trip to Cambodia. You’re welcome Ram! Enjoy Siem Reap! I also wrote about traveling. What do you enjoy and what tests your patience. But most importantly, why should you keep traveling. Oh, Siem Reap in your lens so beautiful and vibrant. Thanks to the inspiring images, I think that i should come back to Cambodia once more to visit Siem Reap. Thanks for your post! Great blog and gives me a good insight on what to do. We are visiting in April arrive midmorning and leave in late afternoon, staying for 3 nights. Can you recommend as pushed for time if you would get a tour guide and driver for 3 days, like not having to worry about getting from A to B as this all would be taken care of. Bravo. I really like this post because it’s beautiful picture and good content. I have a plan to travel to Cambodia about 5 days in next year. Thank you for your post. Siem Reap is on my bucket list for a while now and your post was truly inspiring to cross it off as soon as possible, JB! Excellent tips for first-timers which will make the tips there less stressful and more enjoyable. How many days would be enough to see all of the highlights of Siem Reap? Very Interesting. 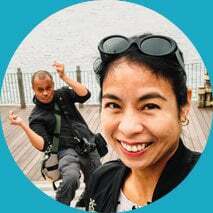 Infact read your blog and visited Cambodia and it was useful, and the place is so interesting that it made me write as well on https://healthymerrylife.blogspot.my/ about cambodia and siem reap. Siem Reap seems like such an amazing place! Really useful breakdown of the most important things to keep in mind when preparing a trip! 🙂 I like the you have broken everything down in top 5’s, it makes everything much more manageable! Thanks Thien! Those tours sound great. ? This was so well written! Very helpful :). Thank you! Thanks for sharing an interesting article..
Reading your blog is so timely as we are bound to Siem Reap next week. It’s so informative and helpful for first timers. Thank you for the post JB.